Patients, Gee and Spiro find, get ground up and down in their struggles with legions of clerks and bureaucrats, as well as blizzards of paper connected with medical billing and insurance. They note that studies show most Americans are poorly equipped to deal with the complexities of the health care system, with many failing to know the terms and basics about premiums and coverage. 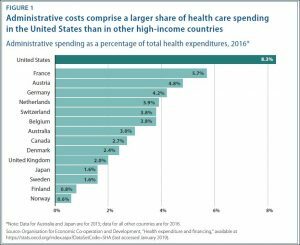 Government-run health coverage programs like Medicare and Medicaid have much lower administrative costs than private insurance plans, running around 2%-5% versus 17%. But those figures might be skewed by the numbers of chronically ill and elderly those programs serve and the lower percentage of administrative costs in their care. 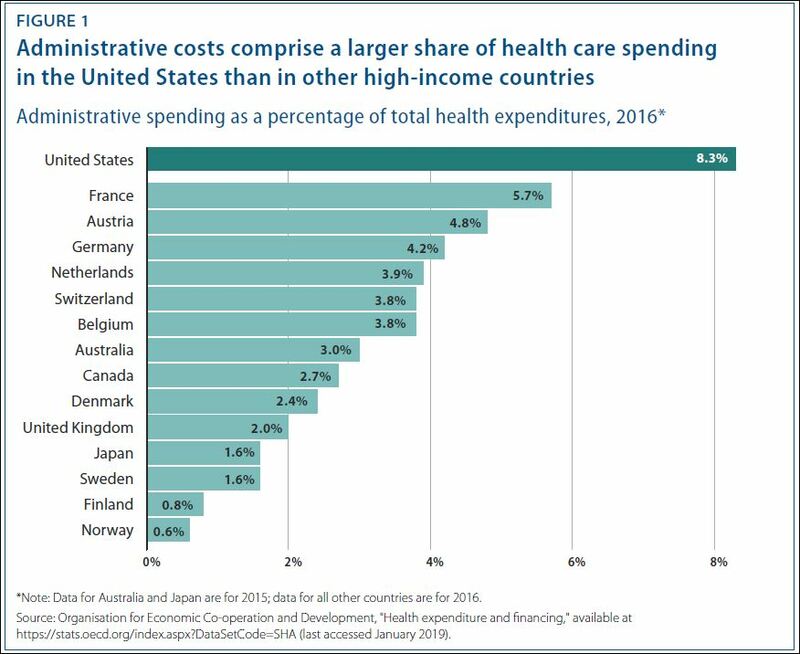 All cost comparisons of the U.S. system, of course, are thrown out of kilter because no Western industrialized nation spends as much on health care and has such relatively poor outcomes. And until the system changes significantly, so an array of payers and providers don’t each try to maximize their own profits no matter what, it is hard to see how tinkering at its edges can slash what amounts to hundreds of billions of dollars in unneeded costs, the authors say. In my practice, I see not only the harms that patients suffer while seeking medical services, but also their ordeals in accessing and affording safe, efficient, and excellent medical care. This has become truer as the costs, complexities, and uncertainties have skyrocketed for too many therapies and prescription medications, too many of which prove to be dangerous drugs. It’s tragic that so many patients and their loved ones lose sleep, worrying about their finances and paying crushing medical bills that keep them one step from bankruptcy. The political war has bled on now for almost a decade — far too long — over the Affordable Care Act and its attempt to provide federal help to middle class and poorer Americans for health insurance. Meantime, politicians have looked away as health care costs keep soaring, and even those among us with coverage at work are crumbling over how much obvious and hidden medical costs rip out of our wallets and purses. How long before the coverage crisis causes companies to not just shift huge cost burdens on to their employees but to test more drastic steps not beneficial to their employees? In the badly divided Congress, lawmakers are laboring to try to tackle one slice of the billing and insurance related mess: surprise medical bills. These expenses — racked up when patients seek treatment by doctors or hospitals that they think are covered by their insurers but learn later that those providers are “out of network” — have hit scandalous levels. News articles about the outrages have prompted federal lawmakers to try to create national and comprehensive billing protections akin to what patients have in states like Maryland, California, Connecticut, Florida, Illinois, and New York. But fixing this problem is already proving a challenge. You’d think that doctors, hospitals, and insurers would work in patients’ benefit and their own, keeping Uncle Sam out of the mix, by compromising on surprise bills? Nope. There’s money involved. Sad. Just think how the hundreds of billions of dollars for unnecessary spending on billing and insurance costs could help American children, instead of partisans haggling over a few billion dollars each year so some of the working could have health coverage under the CHIP program? Imagine, if those hundreds of billions annually could go to disease care, instead, say of the $300 million more President Trump pledged to fight HIV-AIDS? With the rise of global infections, imagine if, instead of pouring hundreds of billions on medical billing and insurance overhead, the United States put more than just $1 billion annually toward fighting epidemics and improving health around the planet? We’ve got a lot of work to do.